Face and body There are 24 products. 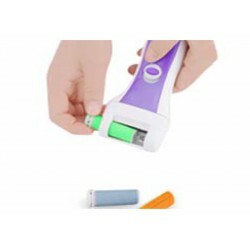 The JOCCA Eye Wrinkle Massager works with a vibrating system that moves all the nerves in the eye zone and helps cosmetic products to penetrate in the skin. It also relieves eye fatigue. The JOCCA Manicure and Pedicure Kit is your best ally to keep perfect nails aanytime. Bi-directional rotation allows you to manicure and pedicure nails from the external edge to the centre on both hands and feet. 6 different accesories. More information below. Get a completely smooth, hair-free appearance with the JOCCA Epilator 2in1. 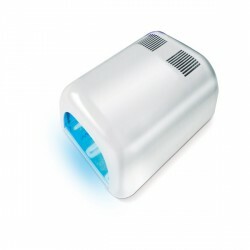 Easy to use, this simple and effective device quickly and efficiently removes hairs. It has 2 removable heads to shave and epilate. The JOCCA Epilator 2in1 is the perfect ally to look perfect during all day. 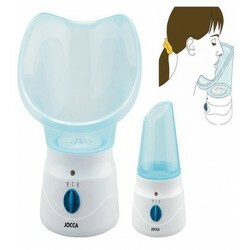 JOCCA Relax Massager Set. It includes three different heads for different massages: head, full body and face. Very lightweight and small, you can carry it wherever you want. The powerful JOCCA UV Lamp rapidly cures gel polishes and UV gel used in nail extensions to create very strong salon finishes which last for weeks. The essential professional tool for any nail enthusiast. Suitable for hands and feet.